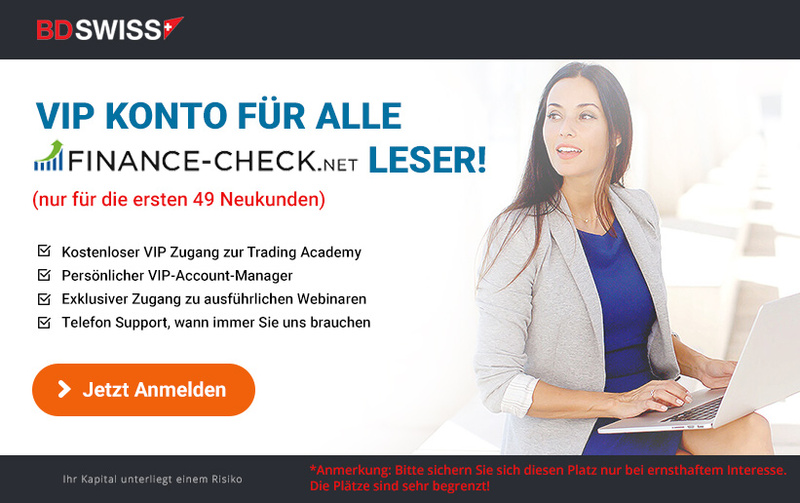 Trade.com is a reputable Forex, CFD and Binary Options Broker, which has been on the market since 2009 as a trademark of the renowned SafeCap Investments Ltd. The online broker is based in Cyprus and is regulated by the local financial supervisory authority CySEC. Anyone who decides to register with trade.com relies on an experienced and secure broker who is able to convince numerous traders to register for trading with a small minimum deposit of 250 euros. The customer benefits are multifaceted and, in addition to all the listed benefits, they also express themselves in the customer-friendliness. Trade.com belongs to the renowned financial services provider Leadcapital Markets Ltd. which is regulated by the institution in Cyprus according to the strict regulations of the European Union. Customer deposits are strictly separated from the company’s capital and managed on another account, thereby eliminating the risks of uncontrolled losses through influences outside the customer’s trading spectrum. One of the advantages is that trade.com is a member of the Investor Compensation Fund, or ICF, which means that it is self-evident to secure amounts of up to EUR 20,000 per customer. The simplicity of the operation, the execution of orders in real time, as well as the reliable customer service are very attractive as well as the German-speaking support, which can be reached via a national fixed line number and with competent answers for all questions. Traders can choose from a variety of underlying assets, and can tailor their trading to their own requirements. The portfolio of 275 underlying assets consists of indices and shares, bonds, currencies and commodities. In the securities trade alone, the user benefits from around 180 offers from around the world, among which are renowned companies such as eBay and Coca Cola, Apple and many German corporations . The assets include BMW and the Allianz, BASF or Siemens, among the most popular and most widely used in trading. But not only in the CFDs, but also in the Forex sector, trade.com has a wide selection to offer and convinces with 45 currency pairs, Which can be traded around the clock on 5 days a week. There are also 26 global indices and numerous commodities as well as different bonds in the portfolio. The conditions play an equally important role for traders as offers, which makes it worthwhile to take a look at the trading conditions of the broker. The spreads move at an average level in Forex Trading and start at 3 pips . The lower the trading volume, the more spreads are rising. A trade can also be managed with the smallest bets, since the maximum lever in the Forex trading of 1: 200 is quite convincing and allows high trading volumes to be moved despite small bets. First of all, trade.com offers 3 different types of trading accounts, thus offering the right model for every trader. The Classic account is already available with 250 Euro first deposit and includes the entire trading offer, as well as the numerous opportunities for further education and training. 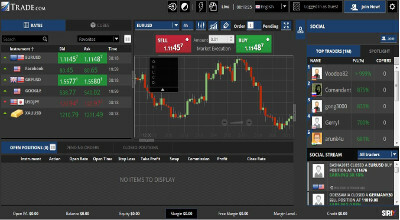 Intra-mobile trading is the mobile availability which enables every user at trade.com to trade independently of his location or the used terminal. Users who prefer a standard account must make a minimum deposit of â‚¬ 2,500 and receive additional news and trading signals via SMS, in addition to all the features that are also available in the Classic model, and profit from daily premium analyzes. The third account is a VIP account, Where a minimum sum of 10,000 euros has to be paid. Anyone who choose this type of control will have the advantage of a personal customer manager. Due to the available website in the respective country language, the opening of a commercial account is very simple and requires only the input of all data, which must be shown according to the EU regulations. The registration takes place in three steps and leads to a email confirmation, by which you can get the release and make the first deposit on the trade account. As security plays an important role , the trader must provide a copy of his identity card. DThe choice of payment options is enormous . Generally, trade.com accepts all credit cards, bank transfers and e-wallets, such as Skrill and Neteller. Also by means of immediate transfer or Giropay, deposits can be made and debited in real time from your own Girokonto and transferred to the account. Anyone who acts anonymously and wants to avoid a direct connection with the Girokonto can generate the transfer with Paysafecard. However, the Paysafecard can only be used for deposits and not for the depreciation of credit balances. If credit card payments are made, a copy of the credit card must be deposited. All transfers are made via an encrypted server, Whereby the broker offers maximum security standards and is able to demonstrate with customer benefits. All deposits and withdrawals are possible in real-time , of which only the classic bank transfer is excluded and a waiting period within the range of the usual bank running times of 3 to 5 days . Beginners can practice the Forex and CFD trading before using real money with their account- integrated demo account, and continue to opt for training and free webinars. It is not necessary to go into the trade directly with real money. The training section is not only aimed at beginners , but can also be very useful for experienced traders to expand their own knowledge. Individual and tailor-made programs offer numerous opportunities to specialize in the desired area and to gain new experience . Even though the online broker has a well-structured website and clear offers , as well as hints about the trade, some questions may occur occasionally. Users from Germany not only benefit from a German-speaking platform, but can also contact a German-speaking support with their national number. This makes it easy to access information on fixed network conditions and do not require cost-intensive telephone calls, which must be routed abroad or to an expensive hotline. Other contact options include chat, as well as contact via email or form. Trade.com is a legally EU regulated broker based in Cyprus. Membership in the ICF means that customer deposits are kept separately and strictly separated from the company’s brokerage, as well as secured with a deposit of up to EUR 20,000 per customer. It is a trusted broker with numerous offers and fair conditions.